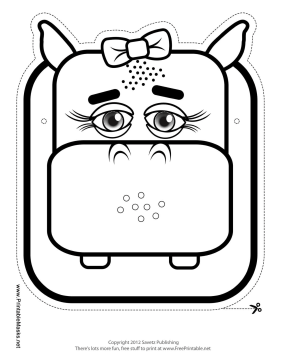 This outline hippo mask not only has two teeth, little hippo ears, and long eyelashes, it also has a pretty bow on its head! Wear this mask for a quick and easy female hippo costume. This mask is free to download and print.